Captain Moore was a pilot of a F-51D Mustang night fighter with the 67th Fighter Bomber Squadron, 18th Fighter Bomber Group. He was listed as Missing in Action while participating in aerial support over the South China Sea near the coast of North Korea on June 1, 1951. He was presumed dead on December 31, 1953. For his leadership and valor, Captain Moore was awarded the Distinguished Flying Cross with Oak Leaf Cluster, the Air Medal with 5 Oak Leaf Clusters, the Purple Heart with Oak Leaf Cluster, the Korean Service Medal, the United Nations Service Medal, the National Defense Service Medal and the Korean War Service Medal. 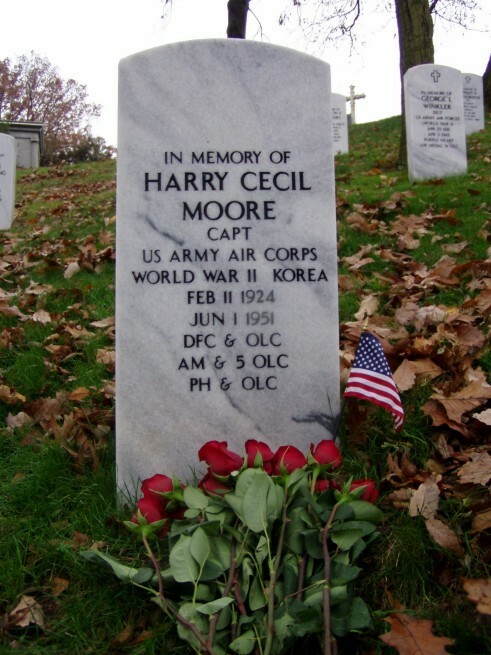 Harry was born in Elm Grove, West Virginia on February 11, 1924, the son of Mildreth Dague Moore and Samuel Cecil Moore. He was born in the family home at Stone Church Road in Elm Grove. Harry subsequently had three younger brothers. Robert was born in West Alexander, Pennsylvania. George and Charles were born in Elm Grove, West Virginia. The parents separated soon after the youngest son Charles was born. Harry and Robert were sent to live with the maternal grandparents (Charles & Mary Adeline [Thatcher] Dague) and George and Charles were sent to live with the paternal grandparents. The maternal grandparents had a farm on Stone Church Road in Elm Grove and Harry and Robert were required to work on the farm. At first they were very young and they certainly had less demanding chores, but as they got older, responsibilities increased. They were required to feed chickens, care for the horses, cattle, hogs and other details associated with a farm. Harry attended school at the Bridge Street Elementary School grades one through eight. He was an above average student even though the demands of his own life were substantial. He later attended Triadelphia High School grades nine through twelve. He was an average student and participated in many activities and was on the school Stage Crew. He was elected to attend Boys’ State which was quite an honor. At that time West Virginia had very little opportunity for young people. The Federal Government had several programs and Harry went to southern West Virginia to attend CYA school where he learned welding and other vocational skills. Harry enlisted in the Army Air Corps in June of 1942 and was sent to Tyndell Field, Florida where he trained to be an aerial gunner. In October 1942 he was sent to Barksdale Field, Louisiana and trained to be a radio operator. 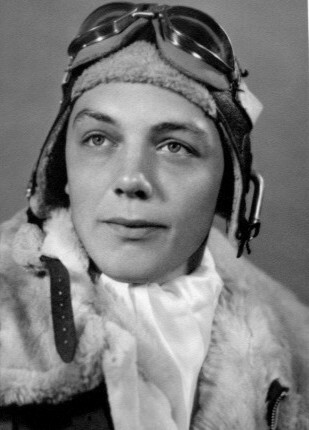 Following his graduation as a radio operator with a rank of Staff Sergeant Harry was selected to enter pilot’s training and went to Coleman Flying School in Coleman, Texas. Following graduation as a Second Lieutenant he was sent to Majors Army Air Field in Greenville, Texas for Basic Training in AT6 airplanes. 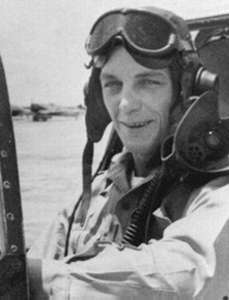 Upon successfully completing this training Harry went to Moore Field in Mission, Texas for advanced training as a fighter pilot and was trained to fly P40s and other aircraft. He graduated and received his wings as a fighter pilot. At that time he received the rank of First Lieutenant. On the fifty-first day his mother was notified that he had been Killed in Action, but on the same day she received a telegram from Harry stating that he was alive and had rejoined his group. At the end of the war Harry returned home to Elm Grove and held various jobs and lived with several different people as he did not have a place where he felt at home. He drove a coal truck for a while and worked for his uncle as a well driller. These jobs did not satisfy him and he decided to reenlist in the Army Air Corps Reserves. He was stationed at Reading, Pennsylvania as a recruiter. After a short time, he found he was able to reenlist and receive his previous commission of Lieutenant and go back to flying. In September of 1948 he was sent to Hamilton Air Force Base in Marin County, California in preparation for his assignment in the Philippines. It was then that his long time girl friend from Elm Grove, Lois Gehringer flew to California to see him once more prior to his leaving for a four year tour of duty. While in California they decided to marry and were married at the base chapel at Hamilton Air Force Base. After a few days Lois flew back to Elm Grove and Harry to the Philippines. After arriving at Clark Air Force Base, Harry immediately applied for housing on the base so that Lois could join him and he would be able to move from the Bachelors’ Officers Quarters. In that World War II had been over for such a short time it was rather difficult to secure a passport for civilian travel, but Lois finally secured hers and joined him in April of 1949. He had a very happy and challenging life while at Clark Air Force Base. The planes he flew there, usually on a daily basis were P51s. He, also, joined the Masonic Lodge and became a Third Degree Mason. In June of 1950 a “Police Action” was begun between the United States and North Korea, the United States attempting to keep the north from taking over the south. In July of that year Harry became a father and about ten days later was called to duty in Korea. The pilots were stationed in Japan and would do their bombing missions over Korea and then return to their base in Japan. In August when Lois was returning to the United States with their daughter he was permitted to return to Clark Air Force Base to see them once more. He immediately returned to Japan. He was flying missions daily; sometimes several in a day. Apparently the planes they were flying were rather old and sometimes in poor repair, but they had no choice but to do their job. On June 1, 1951 while on a mission over the South China Sea he was struck by enemy fire and crashed into the water. He was listed as Missing in Action for one year and then as Killed in Action. At the time of his death he was a Captain in the United States Air Force. In memory of stone at Arlington National Cemetery.